I like the simple packaging of these liquid lipsticks and yes, they look and feel very similar to the Nyx Soft Matte Lip Creams. 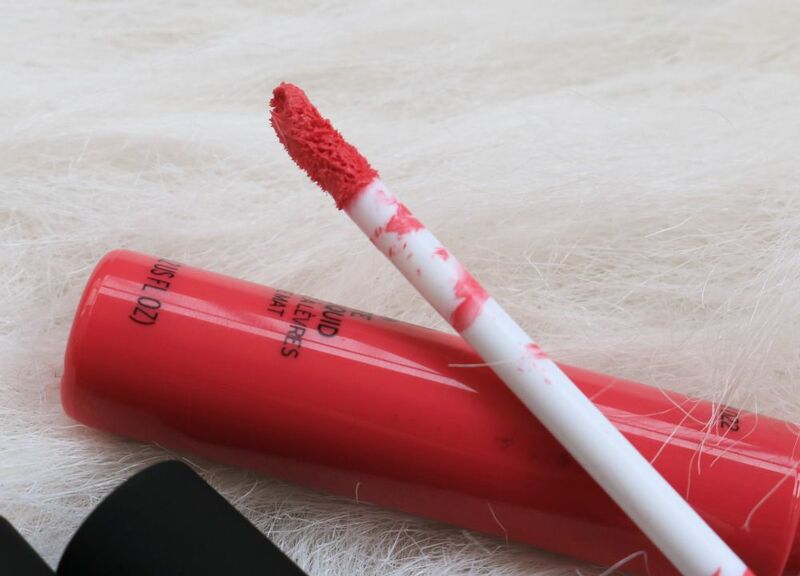 The tubes resemble the color of the lipstick which is always very convenient. I would have preferred a metal or plastic cap instead of the rubber ones these have since they tend to get dirty very easily but that’s a minor gripe. Coming to the formula, they have a mousse like texture and apply smoothly. The lipsticks are pigmented but you need to swipe a couple of times to get an opaque coverage. A bigger applicator could have helped because the ones they have are too small and thin so they do not pick up enough product. 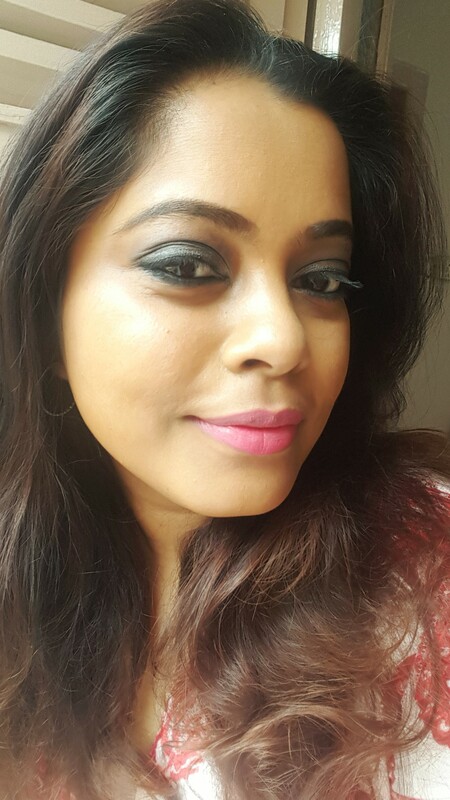 The lipsticks dry to a velvet matte finish but they are not the drying liquid lipstick type so they feel very comfortable on the lips. The lipsticks last for nearly 5 hours on me. They do transfer a bit though. 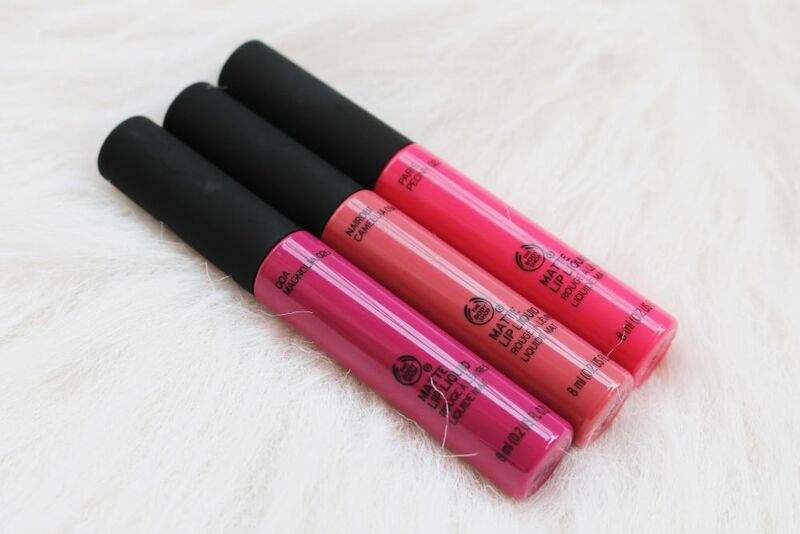 Most matte liquid lipsticks dry the heck out of my lips but these Matte Lip Liquids don’t and I really thank The Body Shop for keeping the price reasonable. All 12 shades are really pretty and it took me a while to select the ones I got. Goa Magnolia – pink with a hint of violet. This is probably my favorite and I love how it brightens up my complexion instantly. 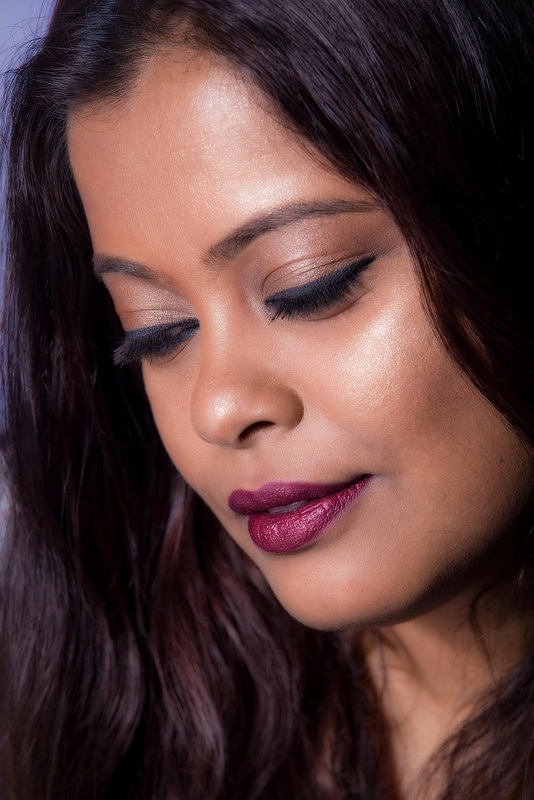 Nairobi Camellia – this warm rosy pink color is the perfect everyday n*de shade for the Indian skin tone. Paris Peony – a beautiful pink coral shade that is perfect for summer. It applies slightly streaky though and needs a few swipes to get an even coverage. 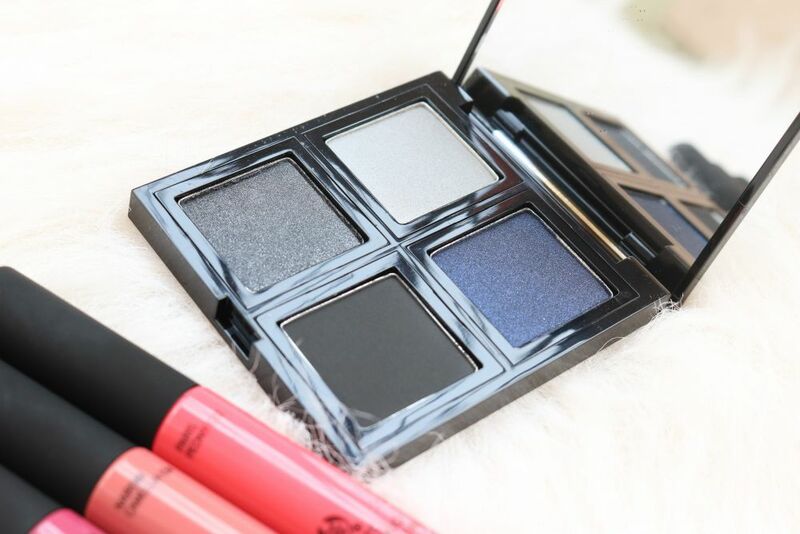 The palettes are packaged in a sleek black case with a mirror inside and a generous pan size. 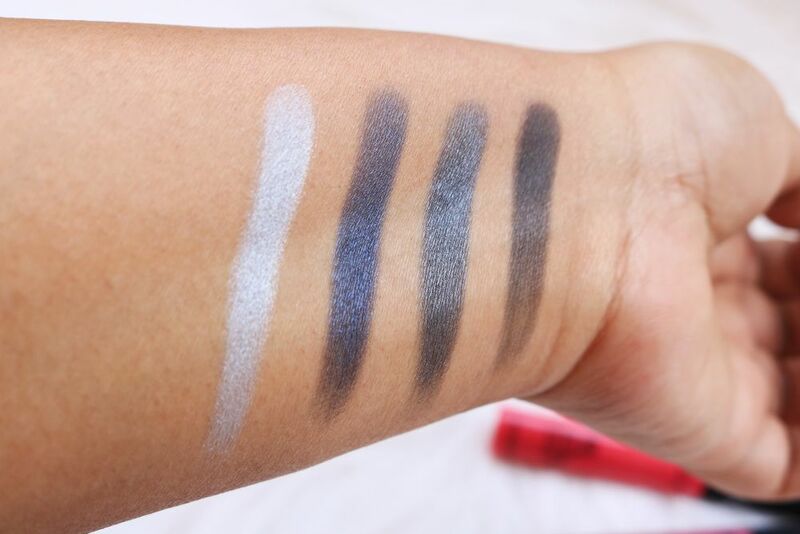 The shadows are well pigmented, they are soft, smooth and easy to apply, have no fallout and last for around 6-7 hours without a primer. All four colors in the quad are beautiful and you can create a number of evening looks with them. Using the shadows wet intensifies the color and really makes them pop on the lids. The price of the eye palettes is Rs 1995 which is quite high but then, you do get a lot of product and good quality shadows. Overall, quite an impressive launch by The Body Shop. Definitely worth trying. Have you checked out the new makeup collection? What do you want to try out? Do share in the comments below. 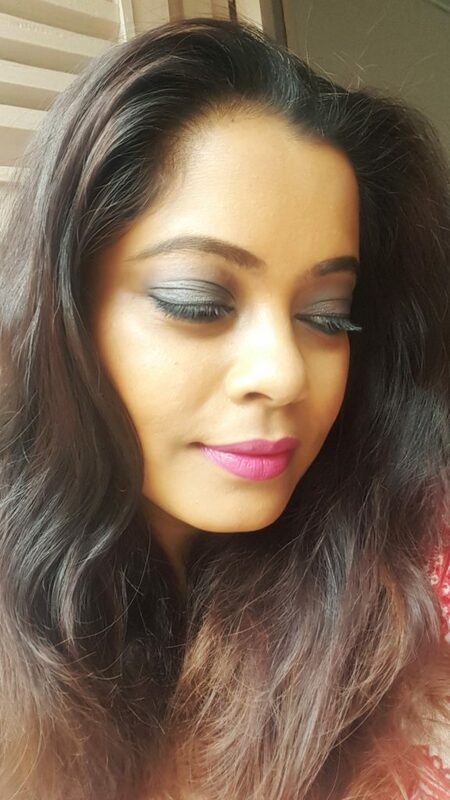 The palette and one lipstick provided by the brand for review purpose. All of them look so good. 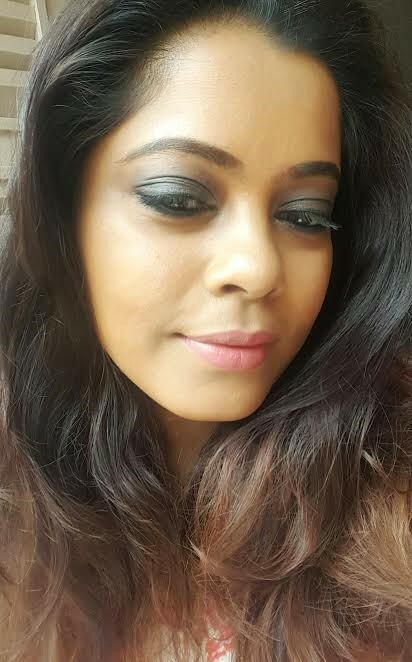 I dont wanna sound typical, but u resemble Kajol so much. Don’t like the lip shades? I find the colors so pretty!